One of the most common problems I see in clinic is runners struggling with tight, rigid muscles. Usually they've tried a host of self treatments with little success. So how do you rid yourself of a concrete calf or a granite glute? The first port of call for most runners is to stretch, stretch then stretch again. 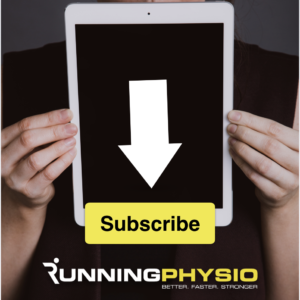 Intuitively this makes sense – it feels tight so I should stretch it – but, while it may help symptoms, they often return fairly rapidly when running. Plan B would be the foam roller. Again a few minutes of rolling around in agony do seem to help but results may be short term. Failing this many head off for a sports massage where deep pressure on the muscle combined with stretches may loosen the offending muscle. I'm not against any of this, although I will point out that there is a great deal of debate around the benefits of stretching, foam rollering or massage. Like many areas there is a lack of strong evidence to support their effect but anecdotally runners report great benefit. My advice would be, if it eases symptoms and works for you stick with it but don't rely on it alone. In many cases the cause of muscle tightness is actually muscle weakness. Recent research describes 'fatigue induced muscle disorder' where an athlete reports a firm, tight muscle. An increase in amount or intensity of training exposes a muscle group to greater load, it fatigues and becomes tight. So the solution is either reduce the training load or strengthen the muscle to cope with it (or both if possible). If strength is the key issue, it raises the question does stretching actually make things worse? Static stretching has been associated with reduction in muscle strength and there is some debate as to whether we can actually influence muscle length. A couple of small studies have suggested that using a foam roller improves range of movement without reducing strength but there is minimal evidence to support long term effects. So here's a thought, if stretching/ rolling doesn't seem to help you maybe you should stop doing it and spend the time strengthening instead? Don't agree? Share your views in the comments, I'm certainly open to other people's opinions on this. So if you want to tackle that tightness get strong and look to find the cause! We already know there are many benefits to strength and conditioning for runners. This may well be another one! “It does sound counterintuitive to think of doing strengthening exercises to reduce your stiffness especially as most of us feel anything but flexible after a session in the gym, but the evidence is beginning to show that it does work. The mechanism behind this is via a process called sarcomerogenesis (we love a long complex sounding term in this business). This basically is the process of new microscopic muscle units, called sarcomeres, being added on to your muscles in response to the strengthening exercises. The key to this however is the type of strengthening exercise, it's really needs to be slow, heavy eccentric exercise (when the muscle is lengthening under tension) so examples for the common culprits work be for 'hard up hamstrings' do Nordics exercises for 'crooked calfs' do weighted heel drops and for 'gruesome glutes' get on the dead lifts. Now a word of warning these types of exercises do actually make you feel more stiff 24-48hours afterwards and you have to ensure you have no tendon issues, but in the long term they do help reduce stiffness and with the added bonus of getting you stronger. Check out Adam's excellent blog and follow him on Twitter via @AdamMeakins. For more from him on the pros and cons of stretching see his brilliant review. Closing thoughts: there can be several causes of muscle tightness including overload from a rapid increase in training, muscle weakness, altered running gait and biomechanics. It's unlikely stretching alone will address these. I echo Adam's thoughts that seeing a physio can help you identify and deal with the cause. As ever on RunningPhysio, if in doubt, get checked out! Great article. Another thought…What about assessing the strength of the antagonistic muscle group? The body seeks joint stability one way or another. Often a really tight muscle group is the result of laxity or weakness in an opposing muscle group. Assessing the movement dynamics helps to see where they may be compensating and using the wrong muscle group as primary moving… Causing dysfunction and tightness. I’m having good luck assessing my patient’s and more importantly teaching them with this approach. What’s your experience with this? One very important takeaway that you touched on is this: Foam rolling, any form of stretching, and deep tissue massage are *only* addressing the symptom. Sure, a skilled therapist can be more specific than any foam roller could ever be. But at the end of the day, all of these are the next best guess as to what is really occurring. And I think it is worth point out: All of them can be a stressor to the muscle(s). Example: If a therapist is digging deeper with an elbow, or using the next shiny tool to work directly into the belly of a muscle, it’s very possible that they are also applying a tremendous amount of force to a surrounding muscle. To say the same thing in a slightly different way, whenever the focus is on a “tight” muscle, it’s very possible that another muscle that is superficial or deep to the target muscle is perceiving the “deep” work as a negative. So, at the same time the therapist is “releasing” a tight muscle, or even breaking up “adhesions”, they’re also neurologically inhibiting another muscle. Then, there is more instability at the joint in question. And the athlete is at more risk for an injury. And the question is, how do you know what is happening? One thing is for sure, the tight muscle will continue to tighten up to protect the joint. Ultimately, efficient function comes down to the nervous system and timing. Can each and every muscle contract at the right time, in the right plane, and at the right joint? Whenever (And wherever!?) the answer comes back as No, there will be a tight muscle to limit motion into a position and/or plane of motion. Excelente post Tom, I do agree with you and I guess could make one additive. I belive that muscle spasm is the way the muscle have to comunicate that it is suffering, that the demand is to high. Normally it occurs in stabilizers. In this condition, its neural activation is damped or , annihilate depending upon the level of spasm. The first thing I do is miofascial massage to restore the physiological neural response. After that I apply careful resistance in order to restore the neural firing pattern that was broken. At last, I do carefully selected stretching . In my practice it has worked with 100% sucess. Rick you make some excellent points and the last statement regarding the neural system is key, my thoughts are stiffness and tightness is primarily centrally driven, with the sensations of stiffness and tightness being interpreted in the brain due to a ‘pissed off’ muscle/tendon or some other other tissue due to over load, under load or insult or trauma! A muscle that feels tight is not necessarily short. It may be in a spasm from overload. The only muscle that should be stretched is a shortened one. Only a length test will tell you whether there is a shortenening otherwise you potentially exacerbating the problem. Agree we often need to include strengthening aspects with mobility issues. Just stretching or rolling is great but as you say, not the whole picture. Some interesting self-massage papers in the last couple of years showing good results. Just need to pay attention to what was done – i’d suggest something a little smaller than a foam roller for effective hamstring massage. what about doing active stretching (where you stretch a muscle group by contracting the opposing muscle) – which is basically strength exercises using your fully range of movement. That would stengthen and stretch at the same time. Great blog and couldn’t agree more with the eccentric strengthening which I have personally found useful with some athletes. I would also consider the joint by joint approach and make sure there is adaquate strength above and below the muscles/ joints of concern. This is probably why the body is generating stiffness in the first place, because it lacks it elsewhere.